Interested in supporting the library through volunteering and fundraising? Join our Friends of the Library Group! We recently received permission from the City of Craigmont to move the library across the street to 113 W. Main. This is a big project and we welcome all new members that would be willing to help us move forward and reach our goal. We have one major fundraiser a year, our Books & Bites Sale on the 1st Saturday in May in conjunction with the City-Wide Yard Sale. This year the sale will be located in our new location at 113 W Main, on Saturday, May 4th! We are always accepting gently used books for our annual sale and all donations. Walk the Prairie and beyond-for Health! The walk is 3 miles, and in addition there will be a Children’s Story Walk. Meet at Craigmont Library's new location 113 W Main. 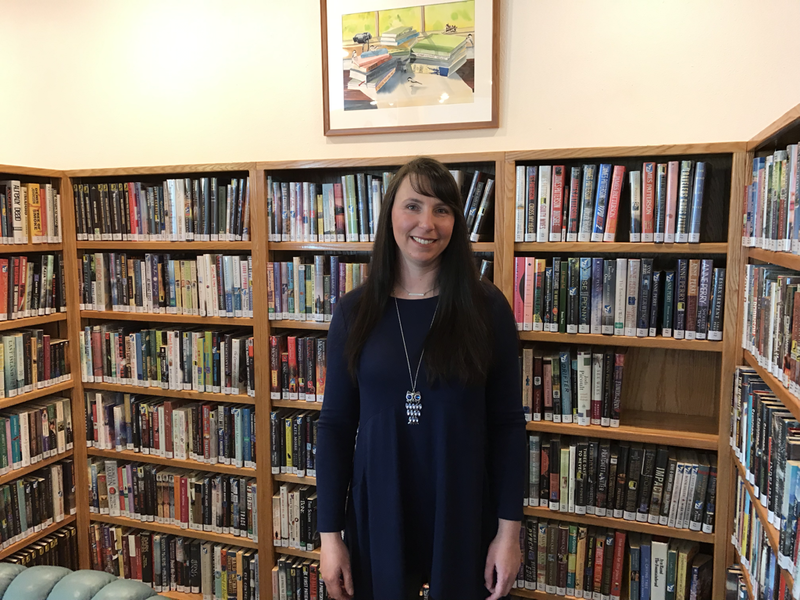 The Friends of the Craigmont Community Library, after receiving the okay from the City of Craigmont, have already started preparations in the new location by removing the teller stations and making plans for new bookcases and computer stations. The new library location will have areas for an expanded general collection, children’s section, and computer stations, as well as a multipurpose meeting room. Available in regular print, large type print, audio CD, digital audio and ebook formats! Tara Westover was seventeen the first time she set foot in a classroom. Born to survivalists in the mountains of Idaho, she prepared for the end of the world by stockpiling home-canned peaches and sleeping with her “head-for-the-hills bag.” In the summer she stewed herbs for her mother, a midwife and healer, and in the winter she salvaged in her father’s junkyard. Her father forbade hospitals, so Tara never saw a doctor or nurse. Gashes and concussions, even burns from explosions, were all treated at home with herbalism. The family was so isolated from mainstream society that there was no one to ensure the children received an education, and no one to intervene when Tara’s older brother became violent. Then, lacking any formal education, Tara began to educate herself. She taught herself enough mathematics and grammar to be admitted to Brigham Young University, where she studied history, learning for the first time about important world events like the Holocaust and the civil rights movement. Her quest for knowledge transformed her, taking her over oceans and across continents, to Harvard and to Cambridge. Only then would she wonder if she’d traveled too far, if there was still a way home. It Came Without Warning: The 1918 Spanish Flu Epidemic And How It Touched Lewis County, Idaho is now available from VALNet thanks to Shelley Kuther and the Ilo-Vollmer Historical Society. Tech. Sgt. Eric Tautfest of Mountain Home (son of Tim and Lori Tautfest of Craigmont) has written a children's book called "Meet the Busy Bots." While the Busy Bots are busy helping the world, they also help teach kids their ABCs and a bit about geography at the same time. Mountain Home art teacher Brenda Raub illustrated the 28-page book. Request "Meet the Busy Bots"
Margaret Nells Waters Longeteig was born on a farm outside of Nezperce in 1918. The Camas Prairie native has authored many books on local history including an autobiography called "Margaret Nell: A Prairie Life.